Leading Pharma companies continue to struggle to gain significant reach (downloads) within their target groups. While companies have cumulatively over doubled their number of active apps available on Apple App and Google Play stores (2014 – Q1 2017), most have added to the growing tail of under performers. Why is it that Pharma companies continue to struggle in mHealth? Have they showed other signs of improvement within their app portfolios, or through 3rd party digital eco-systems? Find out, and more in the recently published, 2nd edition Pharma App Benchmarking 2017 report by Research2Guidance. Companies are competing against a growing number of mHealth competitors. According to the 2016 mHealth Developer Economics Report, there were 290K mHealth apps listed on major app stores, an increase of +174K since 2014. Annual mHealth app download growth rates are also decreasing, adding to the growing pressure. Pharma app portfolios have a narrower target audience than their mHealth competitors. App portfolios of Pharma companies differ from the average mHealth app portfolio in the greater degree to which they supply apps for HCP use cases. When comparing the app categorization differences between Pharma and mHealth, Pharma tends to target a greater share of patients over healthy individuals. This in turn decreases their potential target audience, making it harder to generate downloads. Apps, on average, still fall behind their mHealth competitors in terms of product quality. Pharma app portfolios are not achieving the reach and retention experienced by the average mHealth provider. Inconsistencies of design elements and cross-referencing between apps are still far too common, and continue to let Pharma app quality down. 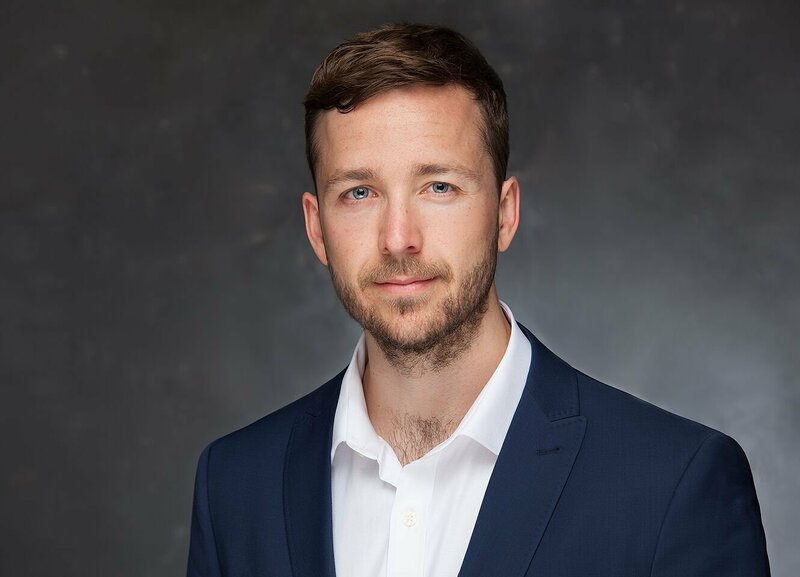 With the hype of, for example, Artificial Intelligence (AI), Augmented Reality (AR), Virtual Reality (VR), connected devices and sensors mounting throughout the digital health industry, consumers are simply demanding more usability from their mHealth products and services. Traditional Pharma product production life-cycles are simply incompatible when dealing with their digital offerings, given the rate of technological change. However, there are a few instances whereby Pharma companies have achieved some success with their internal app publishing. Johnson&Johnson for example have published three of the five most downloaded Pharma apps for 2016; 마이아큐브 (translated to My Accent), J&J Official 7 Minute Workout and OneTouch Reveal. All three achieved over 200K downloads for 2016. The success of their leading apps has improved their portfolios overall performance in comparison to 2014. All leading Pharma companies have grown their internal app portfolio size since 2014, and all but two (Abbott and Sanofi) have increased their reach. However, thanks to the growing app portfolio size of Bayer and Novartis, and the high downloads of J&J, half of the leading Pharma companies have portfolios that fall below the average-lines. Previously, this was the case for five companies. 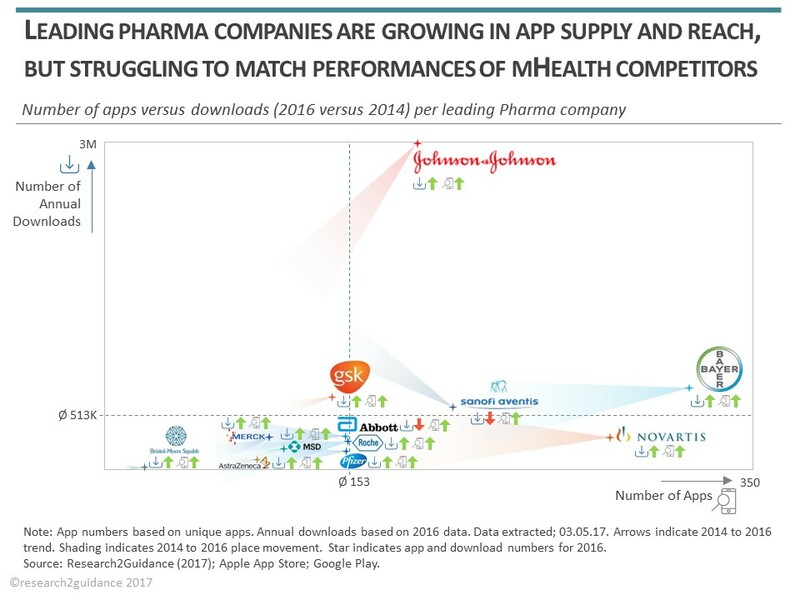 Taking J&J as an example, the success of a mere two or three apps can result in Pharma app market leadership. Take Sanofi as another example. With the hype of Sanofi’s previous most downloaded app coming to an end (GoMeals), their internal app portfolio has experienced a significant decrease in annual downloads in comparison to 2014. Their portfolio has now fallen to 4th place in terms of reach behind J&J, Bayer and GSK. Novartis, Sanofi and Bayer have made the most significant strides in their app publishing activities, but are not seeing the ROI in the way of market penetration. The newly released Pharma report goes into more company level detail on supply and demand from a platform, category, use-case and user-retention perspective. The report also analyses the 3rd party digital eco-system activities and strategies of these companies. Some appear to be relying more heavily on their 3rd party channels to source digital innovation than others, and their achievements to date give insight into which channels create the most potential for overall benefit to the Pharma company. These benefits can range from, for example, brand image improvement, digital innovation adoption, and new product distribution channels.